Willow is a Sydney-based startup that provides comprehensive digital data management services for buildings. equipment systems such mechanical/electrical/plumbing, safety, transport, etc. Willow then promises to use all this data in a variety of data analytics processes to ensure correct and optimized operation of various building equipment, plus innovative new tenant services. 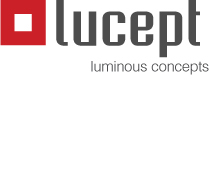 I’m highlighting Willow on Lucept because it demonstrates how IoT lighting and sensor systems are just one tiny part of the digital revolution for commercial and institutional buildings. I’ve been highly leery of the aggressive and grand claims being made by lighting companies about the data analytics capabilities of their IP-based systems, because the lighting industry seems so isolated from the countless other systems in a building. A high-level integrative concept like Willow quickly relegates all other IoT systems (including “smart” lighting systems) to merely another piece of dumb infrastructure, no better than a “cloud connected” pump, air handler, or security camera. This “land grab” for who will control the high-level data analytics and building management is quite a race right now and it will be interesting to see if the lighting companies come out with any higher-value “turf” in the long run.